What’s could be better that cheesy garlic bread? Here’s my spin on the classic! Did you know garlic turns sweet and mellow when roasted? It looses its bite and goes buttery soft. And it’s cinchy to make. 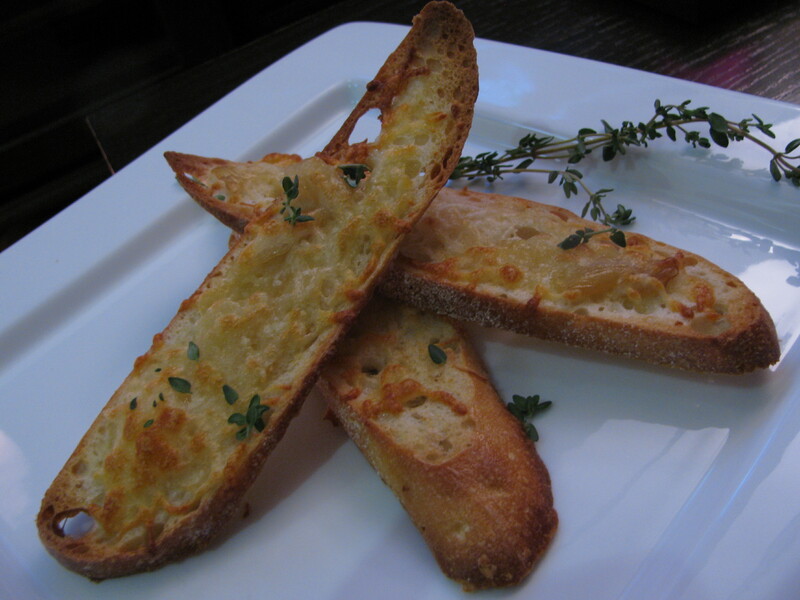 This crostini is loaded with the stuff and topped with melty cheese. Serve this with soups, chilis or with a crisp salad. I served this with my White Bean Ragout. Hope you give this a try! Chop the top off the head of garlic exposing the cloves inside. Throw the top away. Place the garlic head on a sheet of aluminum foil, drizzle with EVOO and sprinkle with a touch of salt. Wrap the garlic tightly in the foil. Slice the baguette and an angle, creating ½ inch slices. Roast the garlic for 45 – 50 minutes. Remove from the oven and allow it to cool in the foil for about 5 minutes. Turn the oven up to 450F. Using a knife scoop the garlic out of the cloves and spread a bit on each slice of bread. Top each slice with a bit of cheese and bake for 5 – 6 minutes or until the crostini is golden brown. This makes a great side to soups, chilis and stews! It’s especially good with my White Bean Ragout. Serve this with a hearty salad to make a complete meal. This looks divine- love crostini. This garlic and cheese looks amazing- can’t wait to try the recipe! Thank you Jessica! Theres just something about roasted garlic that makes my heart melt. Hope you do try it and like it! !